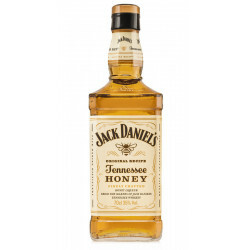 Jack Daniel's Honey, a surprising blend of the famous whiskey and a honey liquor, for a lot of sweetness. 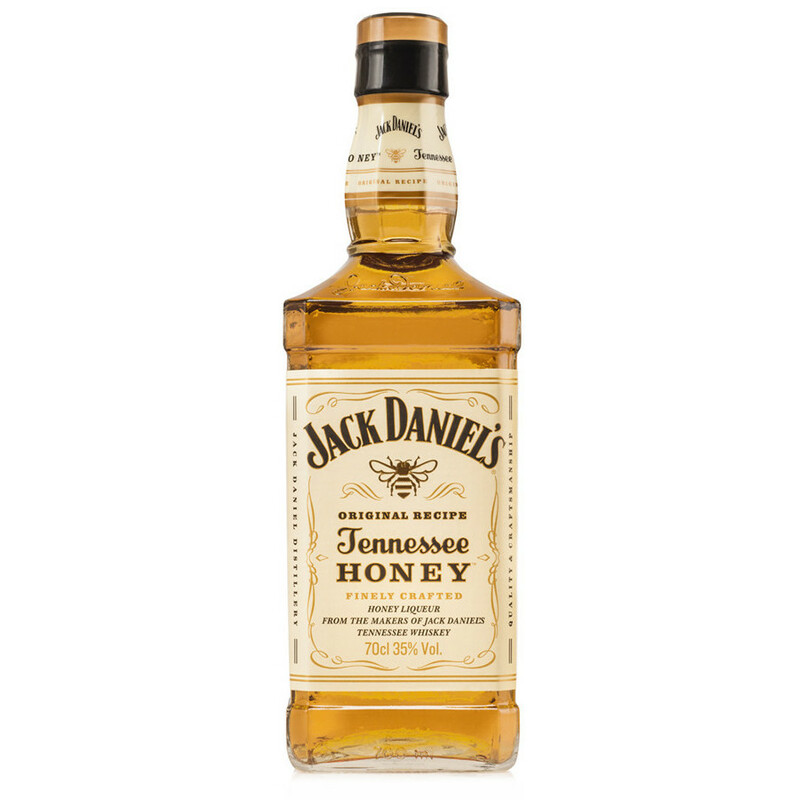 Jack Daniel's Honey is the alliance of the famous Tennessee whiskey and honey liqueur. It is made from the authentic Jack Daniel's Old N°7. Slightly less strong in alcohol than the original (35°), honey softens and sublimates woody and caramelised notes of charcoal filtered whiskey. A surprisingly mellow blend which can be enjoyed pure, on ice or mixed with soda or lemonade. It's an experience, the way the honey emphasizes the smoky character, enriched with a touch of caramel and vanilla brings a unique sensation. Nose: sweet, honey and notes of nuts and walnuts. Palate: creamy and well-balanced, with notes of honey, nuts and toasted walnuts. Finale: sweet with honey and spices at the end.